We just had an event staffing services with UK Trade and Investment. 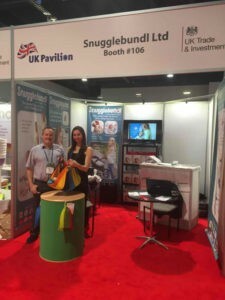 Companies who wanted to expand their business overseas participated in this event and one of our staffs assisted the Snugglebundl Ltd – a lifting wrap for babies. Everyone had a wonderful time learning and encouraging investment overseas through exporting. Just another example that working with www.NationalEventStaffing.com is always fun and always pays great!